The sound of water slapping the smooth rocks was the only noise I heard. Despite being high season in Lake Ohrid, Macedonia, I found myself alone in one of the most beautiful places I’ve ever seen. I set up my tripod to take a picture of the richly colorful sunset. Somewhere in the distance, my concentration was broken as a child laughed that high-pitched giggle that can only come from pure joy. I broke into a smile. Ohrid is perfect. 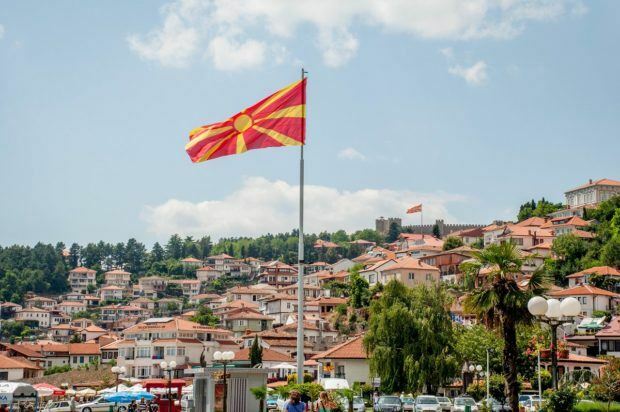 Our Balkan adventure brought us to Lake Ohrid halfway through our trip and it was our favorite experience in Macedonia. 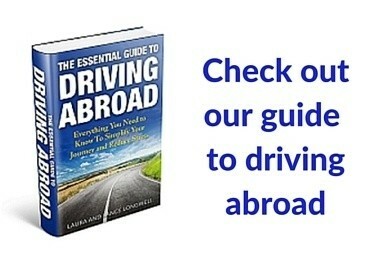 Like most of our trip through the Balkans, we really didn’t know what to expect. 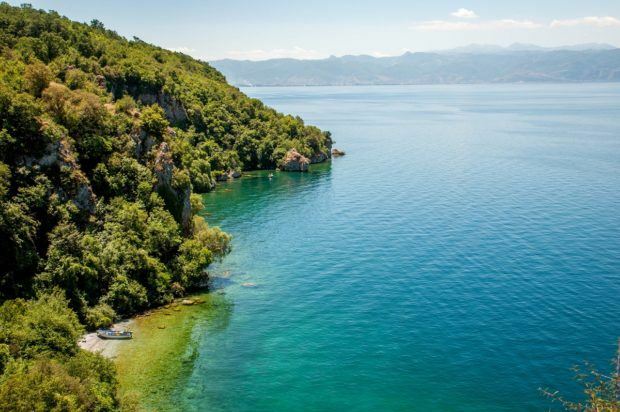 We found one of Europe’s oldest and deepest lakes that divides the countries of Albania and Macedonia. The lake’s latitude and depth ensure that it doesn’t freeze in the winter. 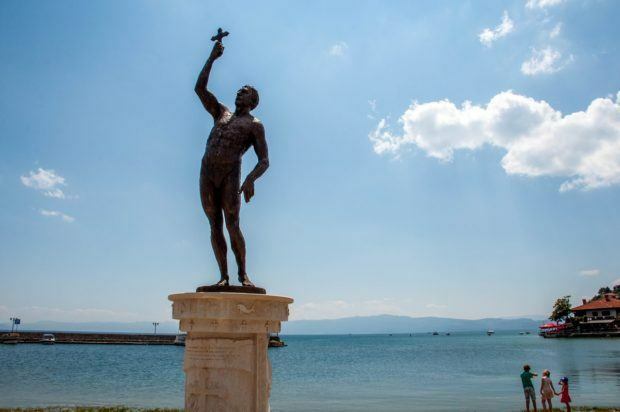 Both the town of Ohrid and Lake Ohrid are recognized as a UNESCO World Heritage Site. Lake Ohrid is one of the most biodiverse freshwater bodies of water in the world with many endemic species. The town of Ohrid…well…let’s just say Ohrid is special. Very special. Any visitor to the Balkans should find a way to visit Macedonia’s Lake Ohrid for at least a few days! If you see one picture of Lake Ohrid, this is it: the absolutely iconic church atop a small cliff on the shores of the lake. The whole scene looks like it is stripped right out of an episode of Game of Thrones. This is the Monastery of St. John of Kaneo. The small monastery was erected to St. John of Patmos, likely the same person as St. John the Apostle, in the 13th century. 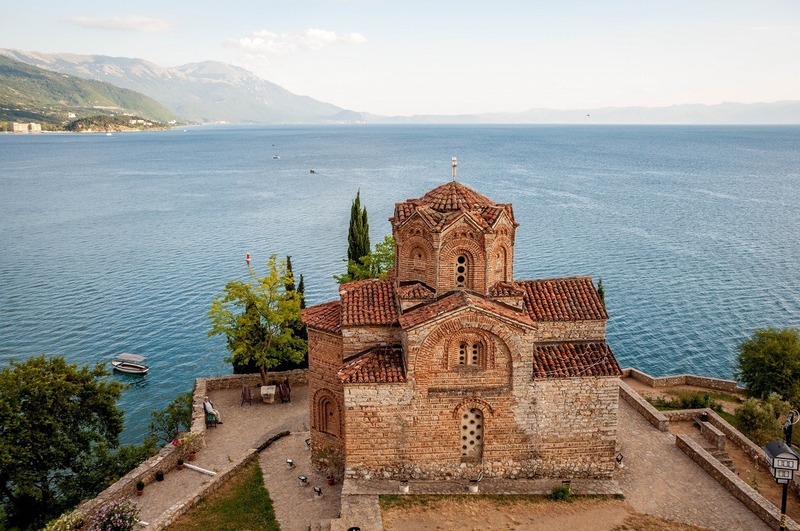 The monastery can be reached by a 20 minute hike from the ridge above, or a short boat ride from the main dock in Ohrid. St. Jovan of Kaneo Monastery. 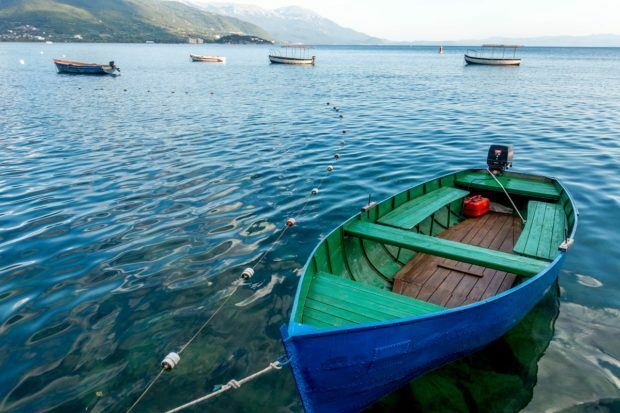 The crystal blue waters of Lake Ohrid are the heart and soul of this region. The lake provides food and transportation for many of the inhabitants of the town. 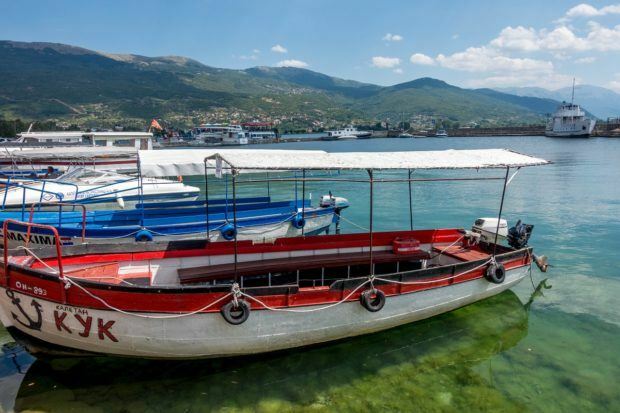 One of our favorite things to do in Lake Ohrid was chartering a small boat to take us from the Monastery of St. Jovan of Kaneo out onto the lake for views of the mountains and then back to town. This region needs to be appreciated from the water. “In our kitchen, we never measure. If you measure, it doesn’t taste good.” And true to her word, the teacher for our cooking class never once produced a measuring cup or any other traditional cooking instrument. Everything was done by feel…and taste. We made two different Kifli – a kind of doughy roll-up. Each Kifli had either ham and tomato sauce or chocolate. I made both ham and chocolate. Meanwhile, in the main kitchen, Laura was whipping up a Komat – called the nationalistic pie. It is a doughy concoction that is folded in on itself in the shape of the Macedonian flag. Atop the ridge of a small peninsula jutting into Lake Ohrid is the fortress of Samuil. This hilltop has served host a fortification since the 3rd century BC. The current fortress built for Tsar Samuil dates from the 10th century. Visitors who climb the steep steps of the fortress walls are rewarded with stunning views of the town, Lake Ohrid and the surrounding mountains. 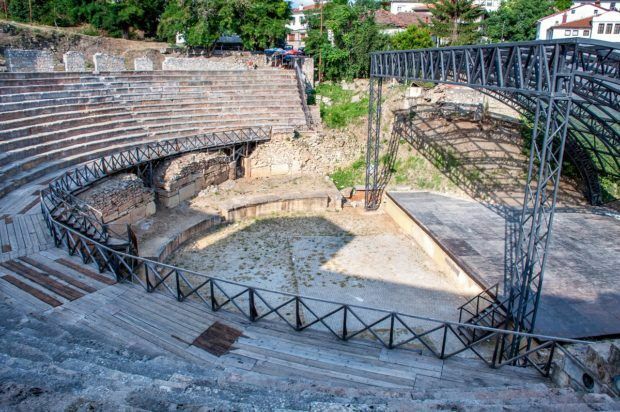 The Ancient Theatre of Ohrid is one of the largest in the Balkans (holding some 20,000) people and was the only Greco theater in Macedonia. It was buried after the fall of the Roman Empire, preserving it for centuries. It was rediscovered and renovated in the 1980s. Every summer, the theater hosts a lively music and cultural festival. If the church looks familiar, it is because it is on the back of one of the country’s banknotes. 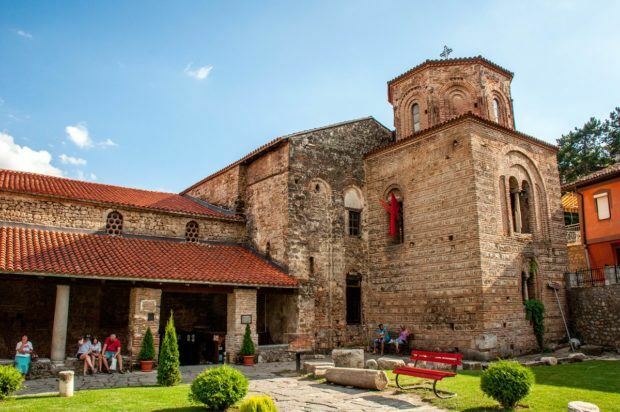 The Church of St. Sophia in Ohrid dates from the 9th century. Inside, the church has one of the richest sources of art from the Middle Ages anywhere in the region. When the church was converted into a mosque during the Ottoman Empire, the priceless frescoes inside were covered and preserved. The gardens outside are a convenient meeting point for locals. 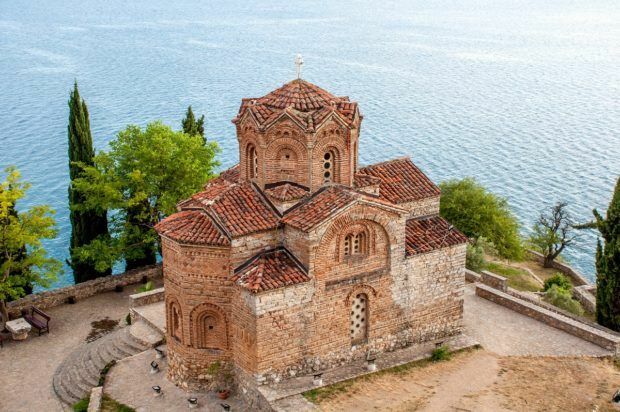 A short drive from Ohrid, atop a small cliff above the shore of the lake is the Monastery of Sveti Naum (St. Naum). Established in the 10th century, St. Naum is buried here. It is said you can hear his heartbeat in the church if you press your ear up to his tomb. Visitors should be aware of the peacocks on the ground. Yes, they do attack. If you’re looking for a little romance, take a boat ride on the freshwater springs of the River Drim at the base of the monastery. Inside the mountainous Mavrovo National Park is the mountainside monastery of St. John. Here, black clad monks with long beards keep the Orthodox faith alive. Visitors can chat with the monks or make a purchase in the gift shop. Sadly, the monks were all busy and we didn’t get a chance to speak with them. While the monastery is an architectural wonder, it is a restoration since much of the monastery burned in a fire in 2009. However, just a short drive down the hill from St. John is the women’s monastery. The women’s monastery is more modern and dates from 1835. However, a young nun, Vesna, who had only been there for five months welcomed us and spoke to us for a hour about life in a monastery and served us delicious Turkish coffee. Having this close personal experience and being able to ask her questions about monastic life was a highlight of the trip. Life in the town revolves around Lake Ohrid. And the best way to appreciate the lake is to walk the long promenade from the center of town to the outskirts. Here is where locals and tourists alike mix. Push carts sell homemade corn or the local soda (Cwpymka) along with a selection of nuts and ice creams. One of our favorite things to do in Ohrid was to sit on one of the benches and people watch. 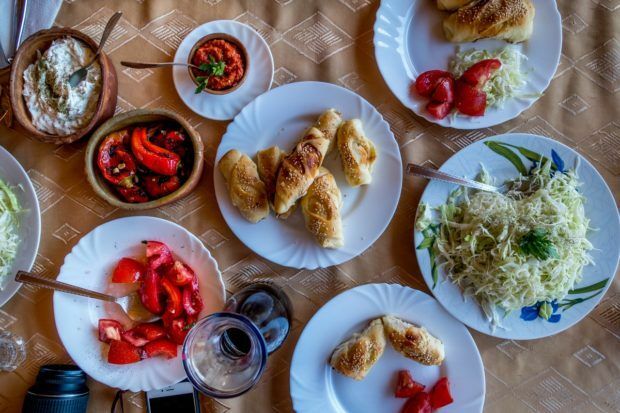 The food across the Balkans is delicious…and cheap. The restaurants in Ohrid are excellent and serve a range of traditional and contemporary delights. 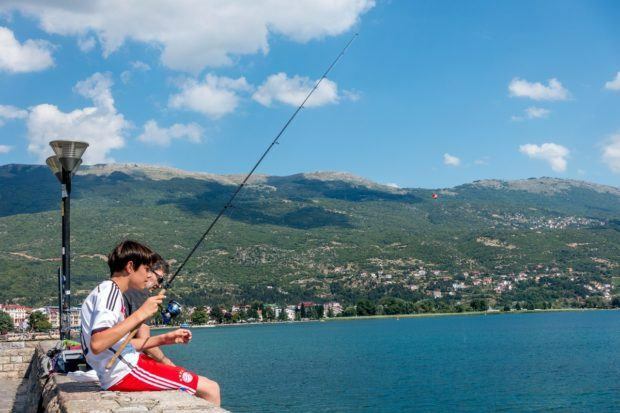 You’ll find fresh fish from Lake Ohrid along with other favorites like Burek, Kebapi, Ajvar and Selsko Meso. Macedonian cuisine is a cross between Greek/Turkish and Northern Mediterranean cuisines. 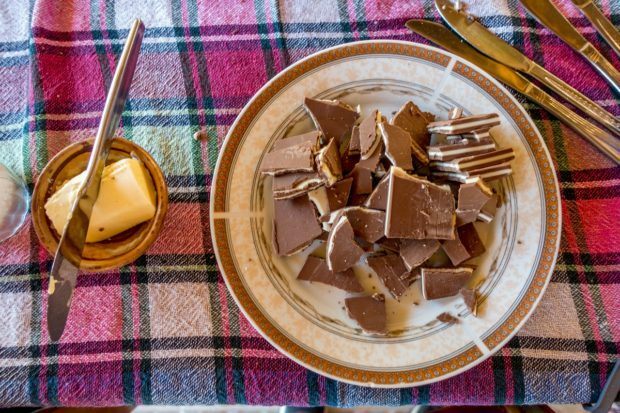 There’s no bad eating in Macedonia. We visited Macedonia as guests of JayWay Travel, specialists in custom tour packages across destinations in Central and Eastern Europe. All opinions of the ancient, beautiful and relaxing are our own. 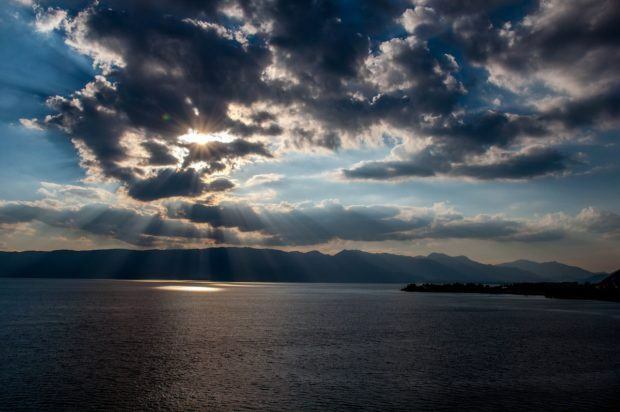 What do you think about Falling in Love with Lake Ohrid, Macedonia? This is why I want to travel the world. You get to immerse yourself in places that are filled with so much history and exciting things to see. 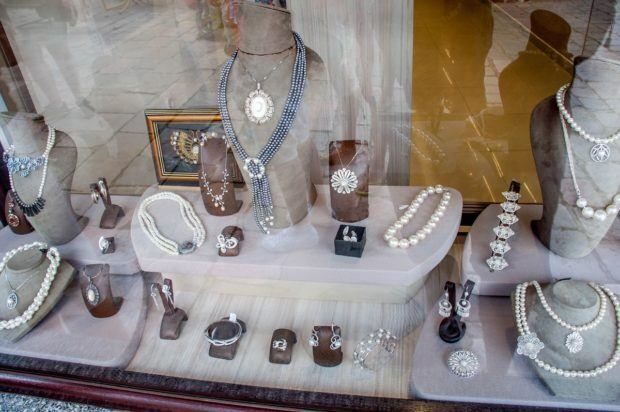 Who knew that Macedonia was such a rich cultural place? Kaneo Monastery picture is amazing. 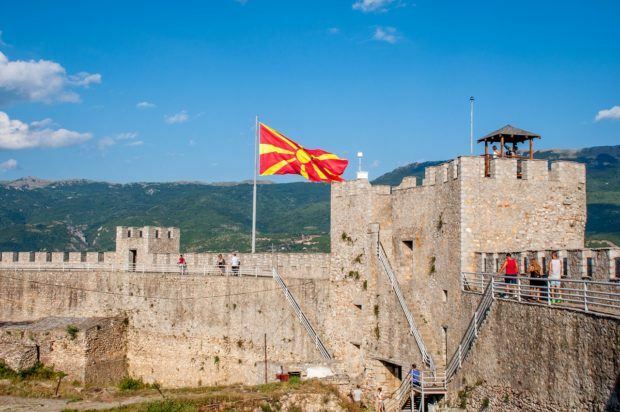 Macedonia has been working hard to brand itself as new European tourist destination and it looks indeed definitely worth visiting! After looking at the pictures I feel I should visit this place. Nothing like fishing, sitting on the promenade. 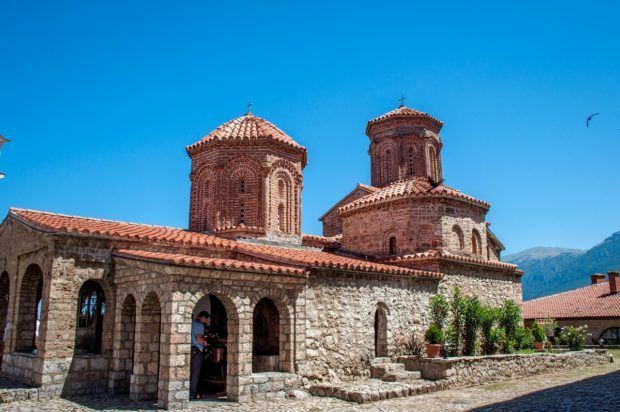 Great list of things to see in Ohrid. 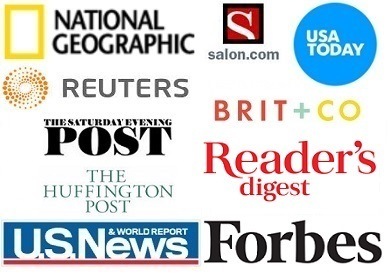 I would add the Bay of Bones museum that’s on the way to St. Naum. 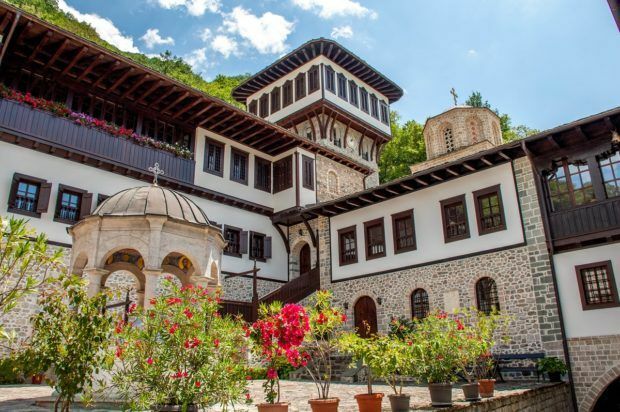 Also, The Monastery of Sveti John Bigorski in Mavrovo is hours away. I would recommend seeing that when on the way to Skopje.